Since I have memories, I have been amazed by nature. Some of my first memories are related to watching close spiders building webs in the garden of my grandmother or picking the feathers that fall from birds. I also used to love watching hours of nature documentaries in channels like National Geographic. I think it was probably then when I dreamed about becoming one of those crazy photographers who go to backwoods, far from the noise of the cities. In the middle of a city which is surrounded by a desert, my only way to get close to nature was the sea. I can go to a beach in Lima, my city, most of the year. 200 km up north there is Barranca, a little town where my grandparents live build their summer home. There I fell in love with the little crabs, the flying seagulls, the golden sun drowning into the sea like a melting gold coin, the cold salt water and wet sand. 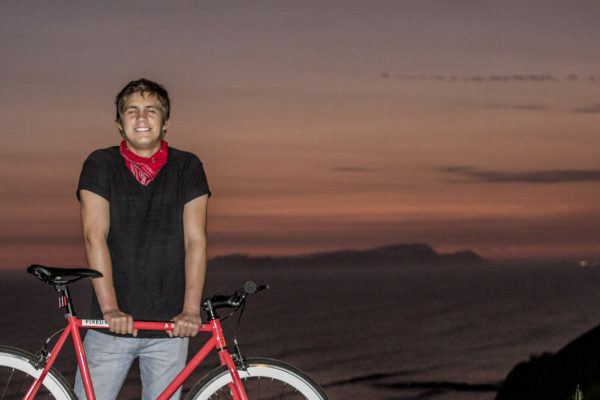 Nicolás riding a bike to a beach he loves in Lima. So, then I grew up and had to choose a career. I was sure I wanted to study communications. But my final decision for communications and journalism was because I wanted to resolve relevant issues. I consider myself an idealist, so I wanted a fairer world. When I discovered photographing at university, I felt I finally had found a way to express my love for nature, and my view of the world. I know that the people in Finland have had a special connection with the forest for centuries, maybe more. When I see those beautiful lakes surrounded by old trees, and I just feel amazed. It’s like watching photographs of the forests where the fairy tales take place. And I really admire Finnish culture that protects nature. I hope to feel the same connection that they have, and see how the Finnish society has learned to take care of its natural heritage. 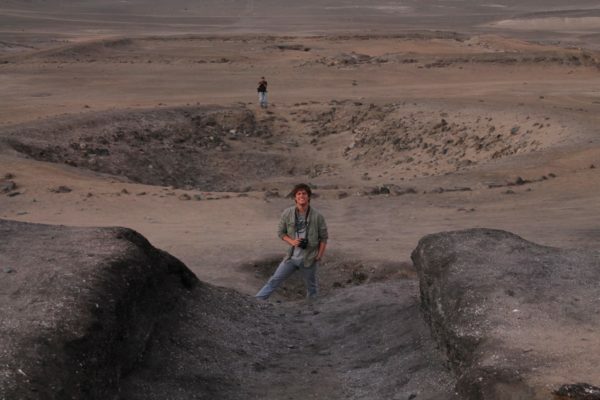 Nicolás taking photos for a magazine at an ancient archeological site. Other things I really admire in Finland are the freedom of speech and the habit of reading that the people have there. I live in a country where journalists have serious problems when they report about the misuse of power. And of course, I want to see by myself how a society that leads freedom of speech worldwide looks like. What makes the Finnish journalism so strong and free? And what makes the Finnish people value good journalism so much? I am really excited for this trip. Actually, I have never felt so excited about a trip as now. I am so thankful about this beautiful country, and am counting the days to my arrival. Hola! I am Peruvian. I have been living in Finland for 6 years. I have my family here. What cities you will visit ? How many days you will be here? Hi Luz, I will be in Finland until the 28 of this month. If you want, you can contact me at nico.monteverdeb@gmail.com Best regards.